Download and install "Virtual Dub". Download and install it to your Desktop --> PortableApps folder. 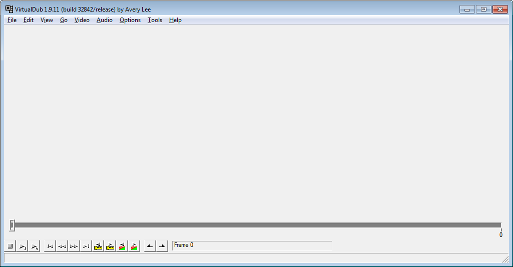 This is what Virtual Dub looks like when you first run it. 2. 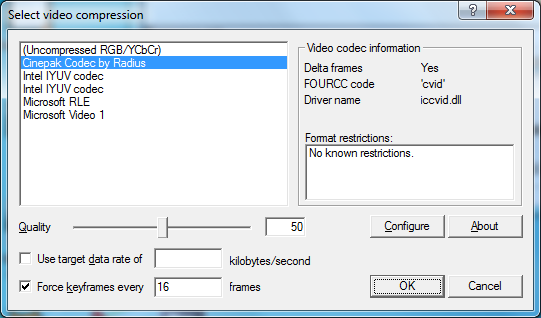 Drag your video into the Virtual Dub window. 3. Follow these instructions (and you'll save your file below). 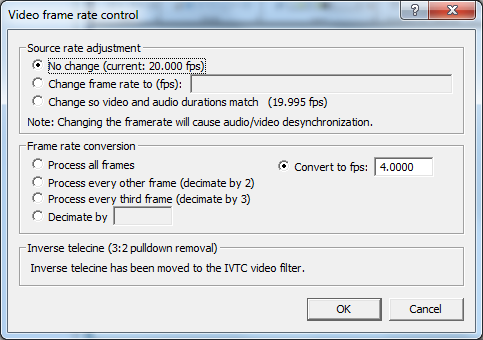 Choose to "Convert to fps: 4". "Force keyframes every" and enter "16". When it looks like this image, click "OK". Be sure to save the changes! 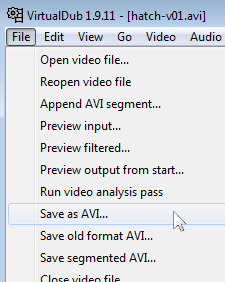 This will open a pop-up window and you can watch your file being saved. This will take 2-5 minutes! Please be patient!!! Mr. Rich will show you where to save this file for marking.